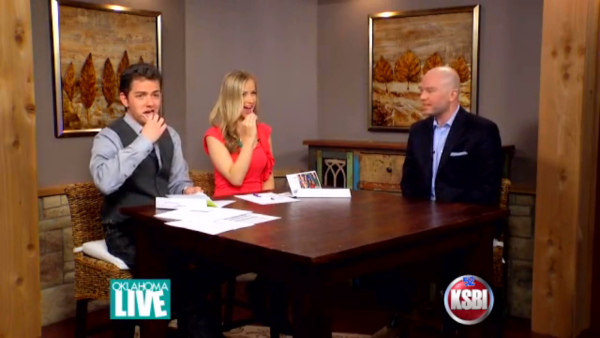 Click below to watch Marshall tell his bone marrow transplant story and talk about the Swab Squad mission with Alex Wehrley and Owen Pickard on KSBI’s Oklahoma Live. To show how easy it is to join the Be The Match marrow registry, Owen and Alex agreed to get swabbed and join the registry on camera! A big thank you to the Oklahoma Blood Institute for being our link to Be The Match. Their training and infrastructure are a key component to the success of the Swab Squad. Thanks OBI! To find out where we’ll be next and to join the marrow conversation, follow us on Twitter @SwabSquad. This entry was posted in Media and tagged alex wehrley, ksbi, oklahoma live, owen pickard on April 9, 2013 by admin. 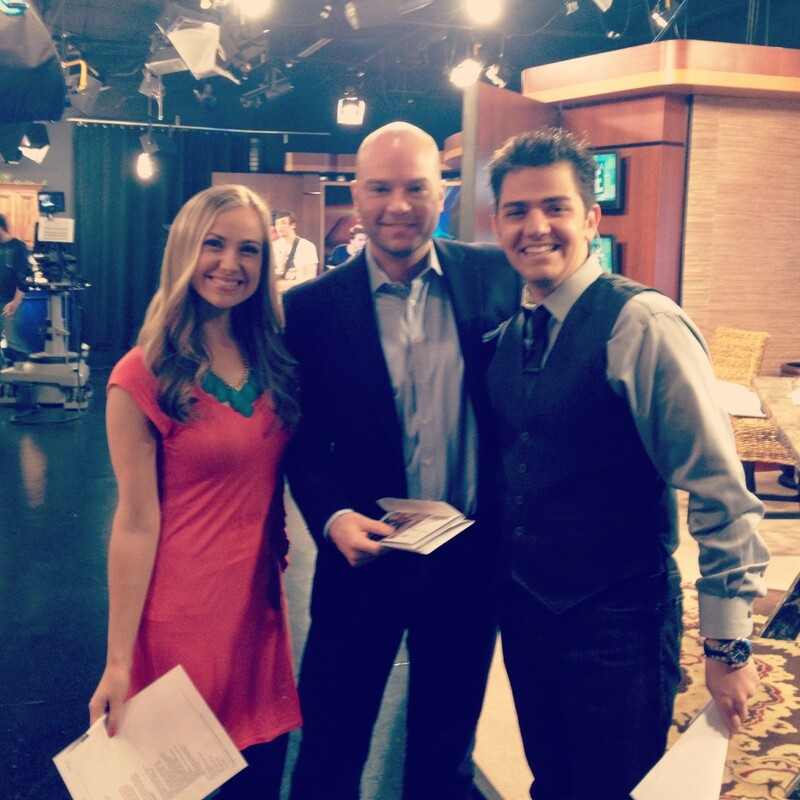 We had a blast hanging out with Alex Wehrley and Owen Pickard on the set of KSBI’s Oklahoma Live on Friday! Stay tuned for a video of Marshall’s conversation about how his personal experience with Leukemia and his life-saving bone marrow transplant inspired him to assemble the Swab Squad. This entry was posted in Media and tagged alex wehrley, ksbi, oklahoma live, owen pickard on April 7, 2013 by admin.